Happy Holidays to you and yours. As we near the end of the year I've been reflecting on 2018 and beginning to feel into 2019. What a year 2018 has been! I can honestly say it has been a challenging year and a bit of a surprise to me. Going into it I had an understanding that it would be a year of going deeper into my personal journey. Not knowing what that meant I stepped into 2018 with the feeling that I needed to pull back from everything I had jumped into the previous year. 2017 was a year of stepping out into a leadership place for myself. I held 2 women's circles and co-facilitated a year long Earth Honoring apprenticeship. It was all amazing and beautiful with huge insights unveiling themselves. So to get this pull inward felt counterintuitive. I thought to myself, I've finally stepped out why would I want to step back in? But I heeded my instinct and closed my women's circles and did not pursue trying to do another apprenticeship year. As I've learned through my studies, life breathes with me, with each of us, and breath is full of inhalations and exhalations, expansions and contractions. So with my huge expansion in 2017 naturally came a contraction in 2018 and I feel blessed that I heeded that call, allowed and flowed with that contraction. If I hadn't I feel I would of been overloaded and floundered over the past year. Instead I was able to find some deep places in myself to study and work on healing. I am hoping to feel into the coming expansion soon. Allowing its rise and holding no expectation for when it will return. I do have some wishes for 2019 and I pray they may come forth with fluidity and ease. I am feeling the energy of another group wanting to learn the ways of using an Earth Honoring Altar and so I'm praying for that to bloom this year. And I'm hoping for either an in person or online 8 week course that I've been developing called Listening to Your Sacred Women's Council. Through guided journeying you will meet your Sacred Council of Women and each week learn about them and how they can help integrate a lost part of yourself into the whole of you. If your interested in either of these please shoot me an email or keep an eye on my website and FaceBook page for updates. But until that all solidifies I am staying in the present moment, feeling eternally grateful for the expansions, the contractions and all the learning and growing that has happened within and between each present moment. 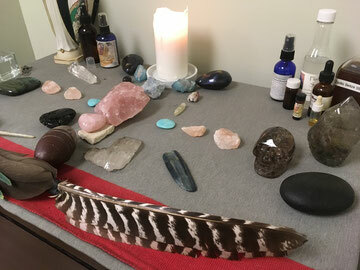 In that state of gratitude I am wanting to share my love of Shamanic Energywork. This work has evolved over my years of personal study of energy and how it moves through us, around us or gets stuck in us. I've learned that if we can be conscious of how energy expands and contracts within us and outside of us then we can being to heal, grow, and make choices to create the change we want and need in our lives. 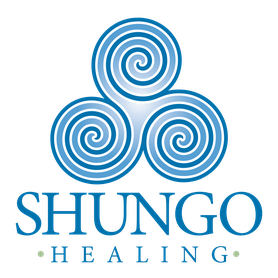 Beginning in 2019 I'll be offering 90 minute Shamanic Energy sessions. These sessions include time to talk before and after as well as time on the table (Please note that while gentle touch will be involved, there is no massage) As an expression of my gratitude for each of you and the blessing that Shamanic work has been in my life, through the months of January and February a 90 minute Shamanic Energy Sessions will be $90 and beginning in March the price will return to $140. With deep gratitude I offer this as a way for you to get closer to your Self, your center and your heart. For this session you will be clothed, there is no massage. and tuning into what your body, mind, and soul are ready to release and/or call in.